Help! Where can I find special Christmas gifts? Don’t worry, dear stressed out shopper, you’re saved: three of our favorite shops team up for a special Christmas market from December 5 – December 7. 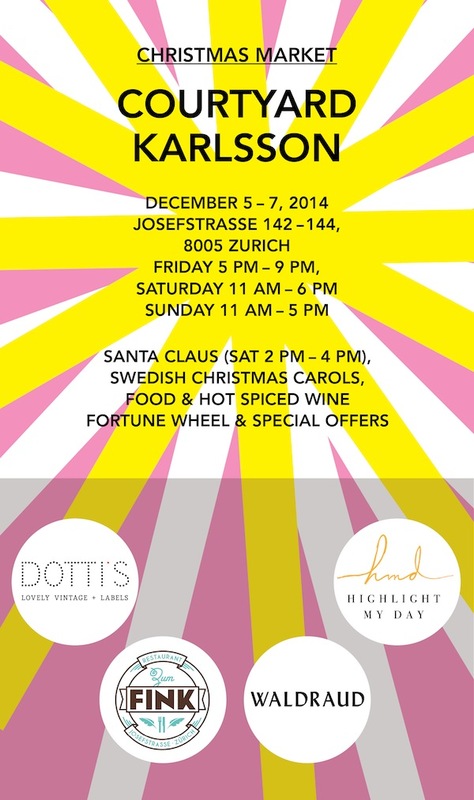 At Christmas Karlsson you’ll find bits and bobs from Dotti’s Vintage and Waldraud and Highlight My Day. If you need a break, restaurant Fink will provide you with mulled wine and other delights. Santa Claus will be there too and if you’re lucky, you’ll even win a present for yourself at the wheel of fortune.